We’re delighted to announce that after 30 years in the industry, Coolclean has grown to a point where we’ve decided to separate our repair services from our cleaning services. The new company, called FlowMatrix, was launched at the ARBS event in Sydney this month. FlowMatrix will be headed up by Jason Christensen, who for the last 6 months has been driving Coolclean’s expansion. Jason is well known in the industry for his comprehensive cooling tower knowledge, a solution based ‘can do’ attitude, his strong quality ethic and excellent customer service. The focus of FlowMatrix on cooling tower repairs will enable us to combine our unrivaled cooling tower expertise, with quality workmanship and a fast response as needed. For future repair work, we will now be issuing quotations and invoices through FlowMatrix. 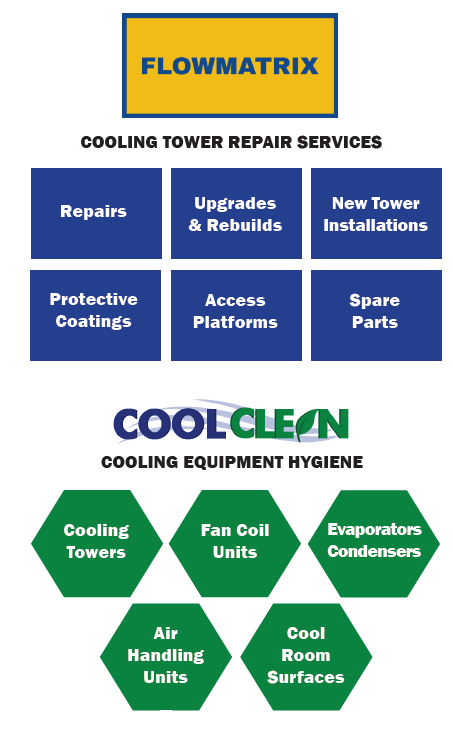 Coolclean will continue to offer quality hygiene solutions for cooling towers and HVAC units, with competitively priced contract-based cleaning services, and one-off cleaning and performance services. The Coolclean website will be updated in the near future to reflect these changes. View the new FlowMatrix website here. 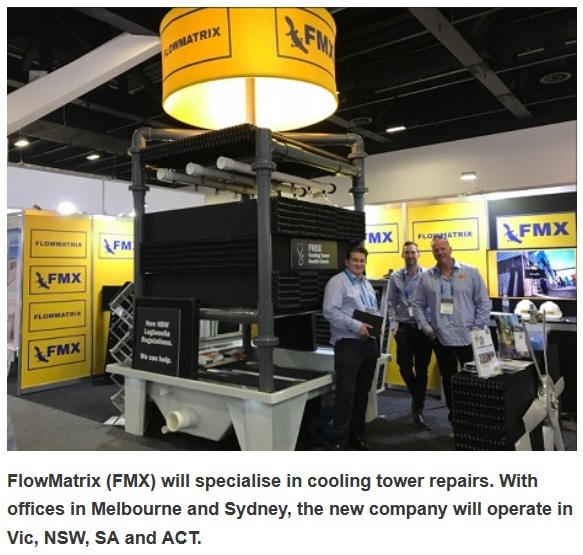 We look forward to continuing to meet our customers’ cooling tower requirements, and Jason looks forward to making contact with customers soon on behalf of the new FlowMatrix.